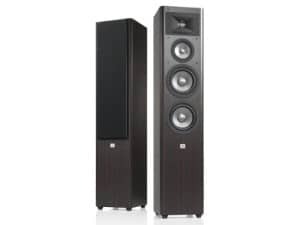 The Speakers Pair JBL Studio L880 4-Way with the Yamaha RX-A1040BL AVENTAGE Home Theater Receiver is an excellent looking receiver that comes with some impressive speakers. What’s more, is you can also enjoy some very smooth sounds and high definition videos thanks to the HDMI connectivity. One of the rather impressive features of this home theater system is that it can boost low-resolution images.Meaning that you no longer have to put up with poor quality images as the receiver will perform what is known as ‘4K Ultra HD Upscaling’. This process will ensure that your images are boosted to super-high definition resolution. This gives you the potential to enjoy better quality images and sound too. come with the system and JBL studio L880 speakers that look as good as they sound. Placed on the floor wherever you please, they can heighten the sound that you hear. It’s ideal if you have the speakers on directly opposite sides of the room. This will help you to get a more balanced sound and enjoy it on a whole new level. The good news is that if you change your mind about the position of the speakers, you can move them elsewhere with relative ease. Home theater systems don’t always come with Wi-Fi, but this one does. With its built-in capability, you can connect the receiver up to your home’s wireless router. This means that you can now enjoy listening to a better quality of sound, no matter what device it happens to be on. Connect your receiver up to your smartphone, your tablet and any other device that has Wi-Fi connectivity. Now you won’t have to rely on your less than perfect car audio system to listen to your favorite tunes. Simply fire up the Wi-Fi option, and you’re good to go whenever you wish. 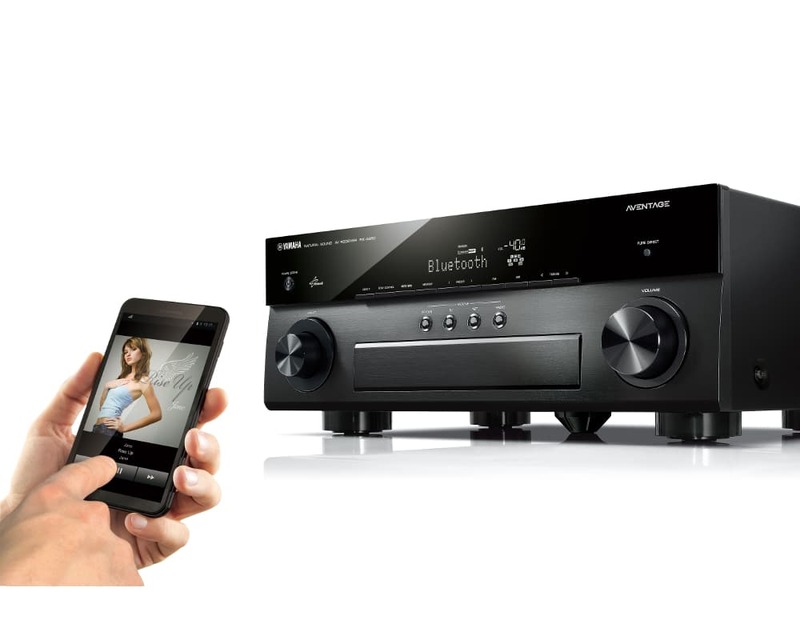 You will be pleased to know that you can now connect your AV receiver to a variety of different network functions. This means it’s possible for you to enjoy listening to Spotify, internet radio and many other networks. This feature gives you a lot more choice and goes to show that you really can enjoy the top-quality sound from a wide range of sources. While you’re setting up your connection, why not think about connecting any PC’s that happen to be on your home network too? 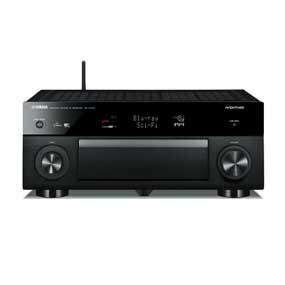 Sometimes we all want to watch something different, the good news is that the Yamaha receiver makes the process so much easier. Now you can use the HDMI zone switching to your advantage. Watch a DVD in your ‘Main Zone’ (Where you have placed your receiver and speakers) and enjoy watching television elsewhere in your home. If you want to receive more than one program at a time, this could be the receiver for you. This is because it eliminates the need for you to argue over what you plan to watch and even record the program. Enjoy watching what you want, when you want, and enjoy a higher quality of sound each time too. 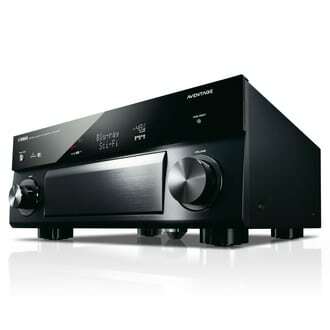 The Yamaha RX-A1040BL home theater receiver comes with a very modern finish that helps it to stand out from the crowd. The front panel has a very smooth and sophisticated look that will appease just about anyone who likes that modern touch. The top half of the front panel shines thanks to the digital screen, which makes icons very easy to read. The bottom half of the front panel has a very smooth and almost wood-like effect. The volume and input dials are nicely placed on opposite sides, and the panel in the middle opens to offer you even more connectivity options. With two classy looking speakers and the ability to stand comfortable on any level floor, you should be able to enjoy sound like never before. Take the hard work out of listening to music and watching television. 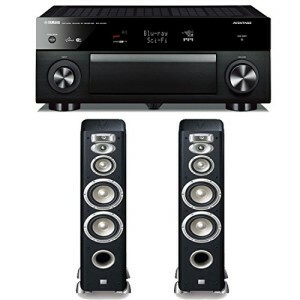 Let the Yamaha RX-A1040BL receiver do all the hard work for you, so all you need to do is sit back, relax and enjoy.